Recently, Mighty Oaks Foundation awarded its’ first financial grant to another organization (Soul Survivor Outdoor) to amplify our partnership efforts in the area of spiritual resiliency. Mighty Oaks has already been partnering with Soul Survivor Outdoor (SSO) for the last two years, providing speakers for their programs, but is now excited about expanding the relationship. This partnership is a win-win, as we compliment each other to better serve the Warriors we support. Just like the Mighty Oaks Foundation, Soul Survivor Outdoor is also impacting the world for Christ, one military service member at a time. Soul Survivor Outdoor was soaring on the wings of the wind, tandem skydiving at GoJump Oceanside, CA today. It was an amazing event, and guest speaker Robert Cale from Mighty Oaks Warrior Programs hit it out of the park! Robert's talk was right on and the Marines all related to him. He talked at length about having a life built on the the right foundation... Jesus. Soul Survivor Outdoor (SSO) and Mighty Oaks were with the Marines of Combat Logistics Battalion 5 (CLB-5) yesterday bringing resiliency, spiritual fitness, and a different approach to suicide prevention and awareness. 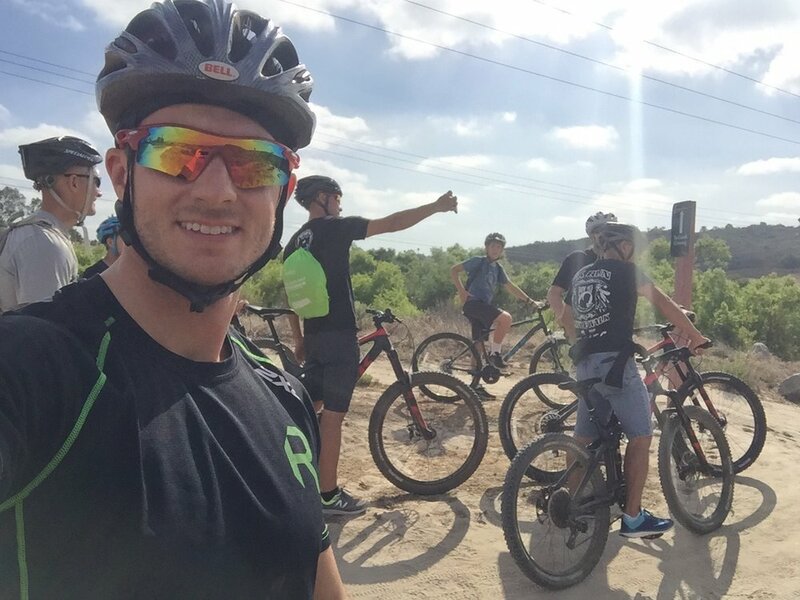 June 30, 2018 was an incredible day of mountain biking in Calavera Park, Carlsbad, CA. Mountain biking was followed by a gourmet brunch at a local Carlsbad home. Nothing beats fresh air, spiritual fitness, and fantastic food!